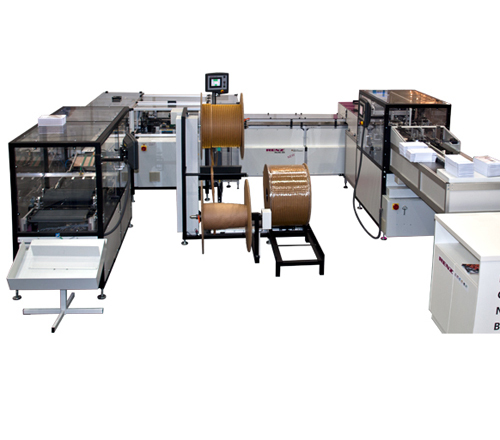 Inline 360 – fully automatic binding line with high speed punching and binding system, where book blocks are dropped on to the infeed (conveyor), punched and re collated and fed automatically into the binder. Allows for less product handling and full automation of punching and binding. The Inline is also capable of punching and binding calendar sets with either nail hole or calendar thumb cut. set-up times are negligible when removing and inserting the dies. The QSA technology allows punching pins to be disengaged very quickly for the format changes. All specification information is subject to change.